Mojo Dialer is a real estate prospecting software that allows users to find and manage leads, automate lead follow up and transactional tasks, and more. Its Power Dialer feature can make up to 300 calls per hour so that users can prospect leads and get better conversion rates. In this article, we cover pricing. Ready to try Mojo Dialer? Contact their support team for more information. As of the date this article was written (11/05/18), there are no positive reviews of Mojo Dialer available online. If you are a past or current Mojo Dialer customer, leave a review to help other business owners who are deciding whether or not to use the software. There is only one negative Mojo Dialer user review online. The user complained that information on the Expired Data section is not accurate. The Lead Manager license costs $10 for every user. You can also opt to add a Dialer license. The Dialer license determines the number of dialing lines you can use. It has two options and the price ranges from $89 to $139 per license. Users have to acquire Lead Manager License in order to purchase Dialer License & add-ons. Mojo Dialer also offers monthly subscriptions for their add-ons: Neighborhood Search and Reverse Lookup ($40 each/month), For Sale By Owners (FSBO) ($25/month), and Expired Data feature ($50/month). Ready to try out Mojo Dialer? Contact their support team for more information. Does Mojo Dialer offer training on how to use its software? Yes. After signing up, users will have access to their help section and tutorial videos. They also offer two live daily webinars, which users may attend to get their questions answered. 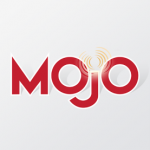 Does Mojo Dialer have an available mobile app? Yes. Users can make calls, manage their leads, set appointments, and more using Mojo On The Go App on iOS or Android mobile devices. They also have a Mojo ID App, a call-back identification app for Mojo Dialer. Not sure if Mojo Dialer is the right fit for you? Read our reviews of all top real estate software providers. What a waste of time it is; and how inaccurate their info is. Their users are also harassing people and they are getting reported to the FTC for “Do Not Call” violations, and to the BRE for harassment.